Work arrives from somewhere (eg, a manager), and is readily broken up into pieces roughly 0.5-4 hours in size. Your primary responsibility is processing these tasks without gaps, maintaining a high level of output. My work, technology for academics, tends to involve coordinating lots of little projects with lots of different people. At any given moment, there are few tasks “in my court”, and they tend to be small. My primary responsibility is to keep all projects moving, and ensure that projects aren’t held up by a task being with me too long. Your work is primarily about projects, and particularly a relationship between you and the main stakeholder in that project. You anxiously wonder whether you’re supposed to be doing something on a project. You have trouble remembering all the relevant bits of information for each project. “Projects” here can be very small, and often include very early stage proposals that haven’t formed into anything very concrete. Ball in their court: projects whose current state is waiting for someone else to do something, such as providing feedback on a document, organising an event, or replying to an email. 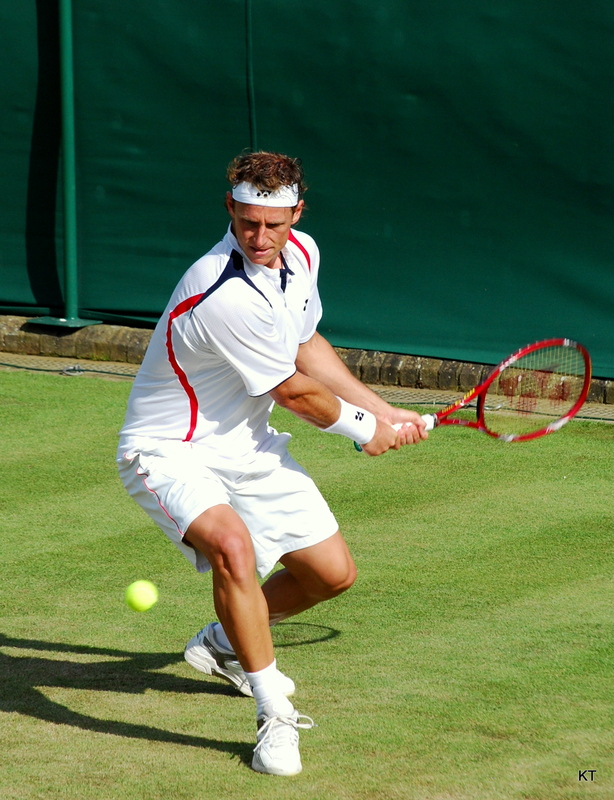 The goal each day is to move projects from the “my court” column to the “their court” column. I periodically review “my court”, placing the most urgent items at the top. I also review “their court”, checking whether I should follow up or offer assistance. All good/meeting scheduled: projects whose current state is that both parties are waiting for an event, usually a meeting. Neither of us has to do anything until then. Wut? : the most dangerous column, projects where I’m not sure what the current state is after all. Am I waiting on them? Did I promise to research something and get back to them? Somebody else’s problem (SEP): where responsibility for the project has been shifted to someone else. I don’t need to do anything, and I don’t even need to monitor it at the moment. Someone else may eventually hand it back to me, but until then I don’t worry. Archive: the project is actually finished. Blocked: there is a technical reason why the project can’t advance, and no one is currently doing anything about it. Trello works really well for this. 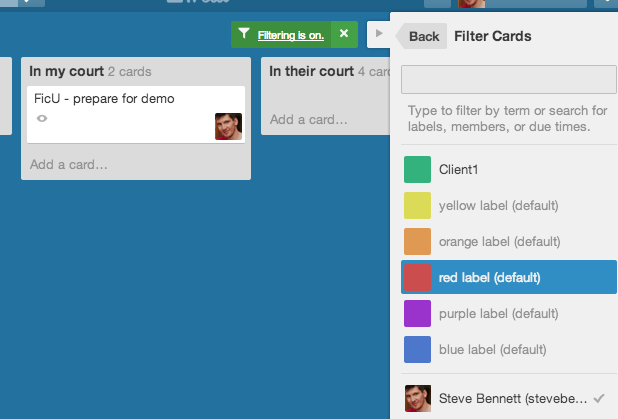 What’s particularly fantastic about using Trello is that each card can also track all the work on that project. Changing the title automatically creates a history trace, or I can add comments to record more information. Need somewhere to record a server name and login details? Use the card’s description field. You can also use coloured labels to group projects, such as tagging by university in my case. Of course, each individual project frequently has its own task tracking system: perhaps another Trello board, Github issues, Pivotal Tracker, Google spreadsheets etc. I link to them from the card’s description, ultimately tying together all information systems for all projects under a single roof. If there is anything in “Wut?”, attempt to clarify its state, then move it to the right column. Check each item in “Ball in their court” to see if it needs attention. Set alarms if you need. If it’s time to follow up, just move it back to “Ball in my court” and adjust the title. Review the “Ball in my court” list, ordering them appropriately – most urgent at the top. To make this natural, I order the columns from left to right as follows: Wut, My Court, Blocked, Their Court, All Good, SEP, Archive. Stress is on the left, calm is on the right. A totally successful day in Trello Tennis land. These examples are actually tiny compared to (my) reality. By the end of 2013, I had 21 active cards, plus another 10 inactive (SEP and Archive). If you find this technique at all useful, or have any improvements, I’d love to hear about it. Are you working for a particular client today, and don’t want to see anything related to any other clients? Assign one label per client, then turn on the filter! To focus on just one or two tasks that you need to finish, first assign yourself to those cards. Then, filter to only show cards that you’re assigned to. This feature is intended for collaboration, but it works nicely.